With the dreaded exam season nearing, we’ve been thinking about luck and the charms associated with it. You’ve heard of lucky rabbits’ feet, well let’s look at some less gruesome, and more cuddly sounding charms that will get them through their perilous journey. Elephants never forget… to revise! Elephants are considered very lucky across the world, thought to represent wisdom, power and loyalty. Face an ornament or picture (or card) towards the door, it’s said to bring good fortune by protecting the home. 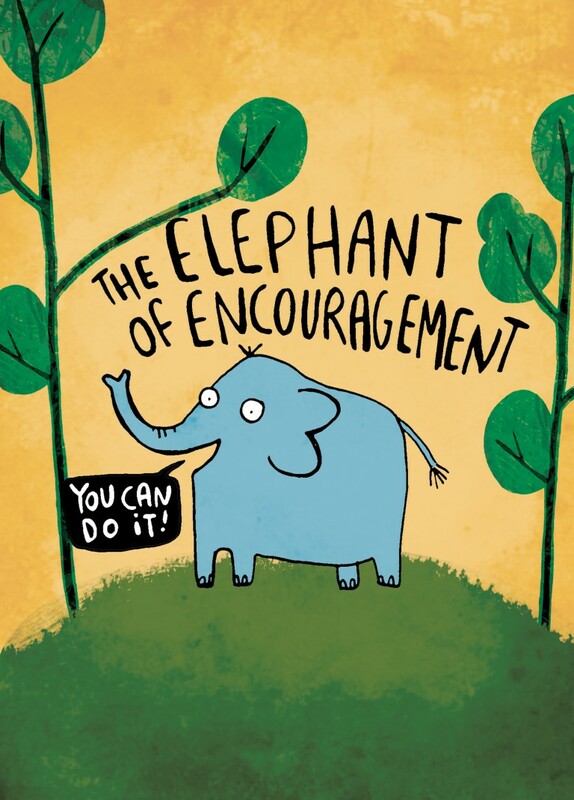 Our Elephant of Encouragement is a perfect card to send to any poor soul embarking on their exams. Toucan play at that game! Although Toucans aren’t necessarily considered lucky, they represent communication and self-confidence in some cultures, because they’re one of the noisiest little fellows! 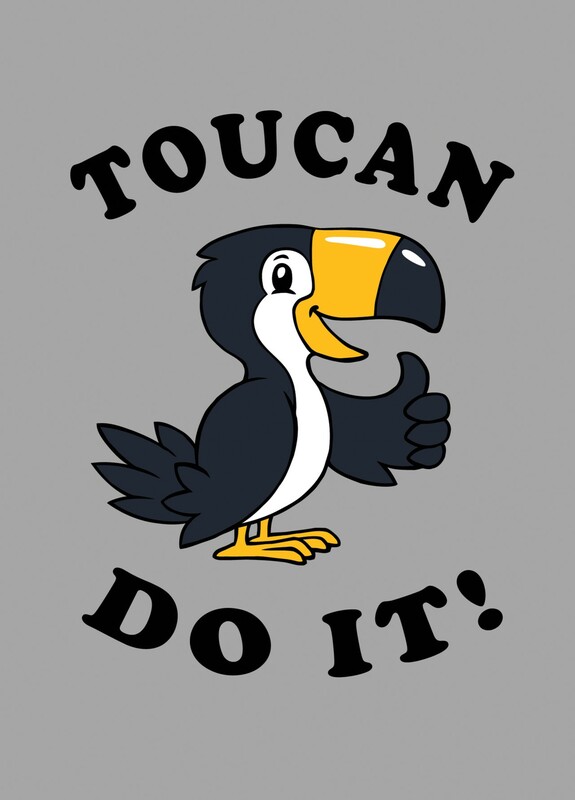 Toucans are perfect for anyone with stage fright or performance anxiety, so to send this Toucan to your friends in their time of need is ideal if they’ve got an upcoming performance. Let them know you believe in them and don’t forget to say ‘break a leg’! It’s the eye of the tiger… Tigers have been extensively believed to bring luck, especially in Chinese culture. They’re a perfect symbol to send to someone in order to wish them good luck as they represent power and courage, because there’s nothing scarier the exams! Give them a boost in confidence with this cute Whale and Bird card! 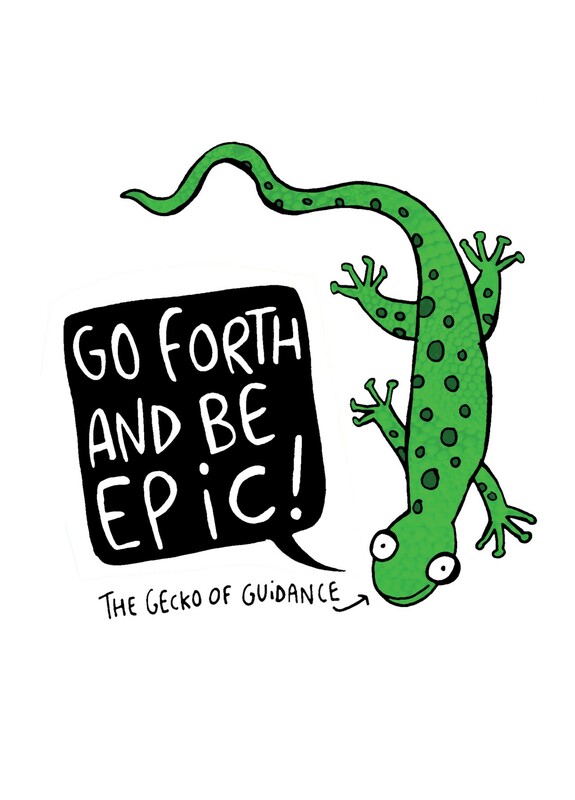 From the Gecko, they need to be epic! If you come across a lizard, it’s said, you’ll be in for some good luck. They represent vibrancy, tenacity and cleverness, which is a perfect combination in order to succeed! 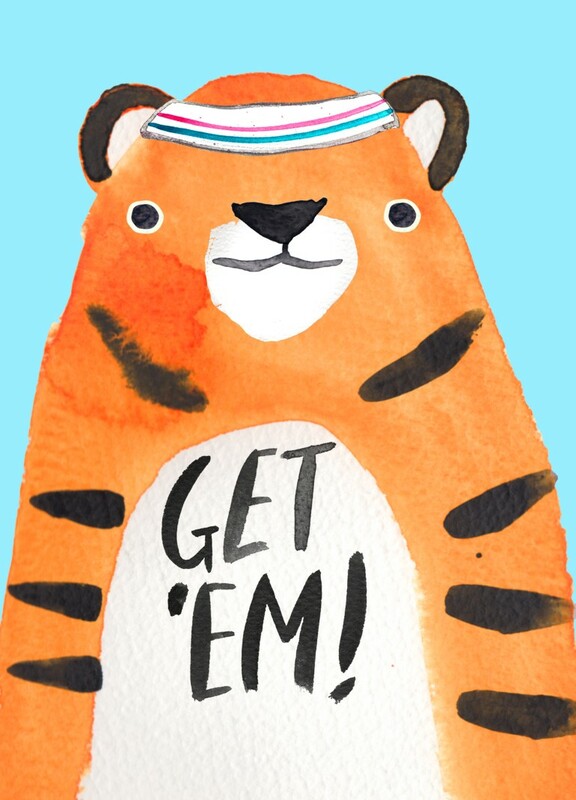 So, give them the motivation they need to flourish with this awesome Whale and Bird card. Whether luck is or isn’t on their side, you can show that you’re behind them every step of the way with a brilliant good luck card from Scribbler.